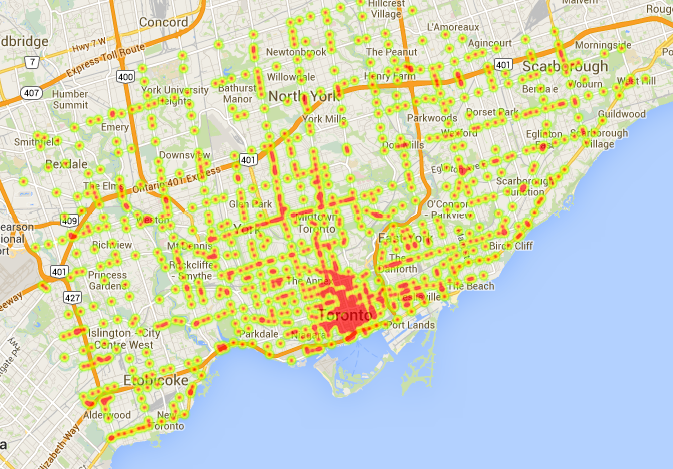 A little while back there was an article in blogTO about how a reddit user had used data from Toronto’s Open Data initiative to produce a rather cool-looking map of all the locations of all the traffic signals here in the city. 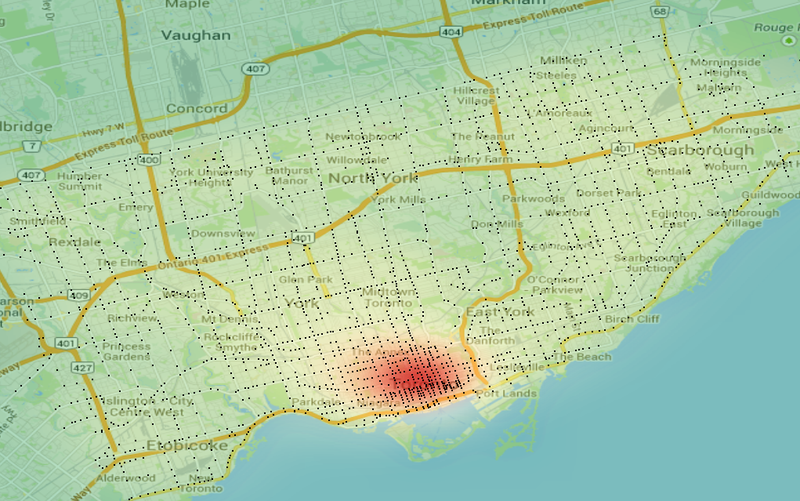 It’s neat because as the author on blogTO notes, it is recognizable as Toronto without any other geographic data being plotted – the structure of the city comes out in the data alone. 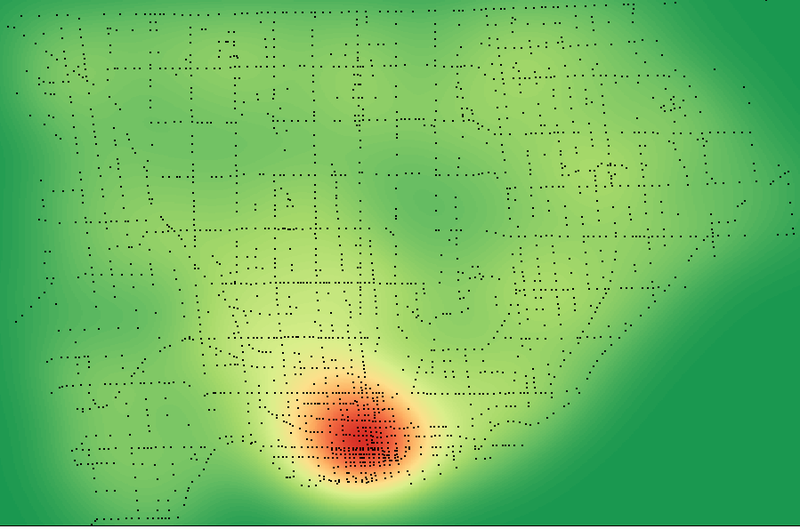 Still, I thought it’d be interesting to see as a geographic heat map, and also a good excuse to fool around with mapping using Rgooglemaps. Despite my best efforts with transparency (using my helper function), it’s difficult for anything but the city core to really come out in the intensity map. The R code is below. 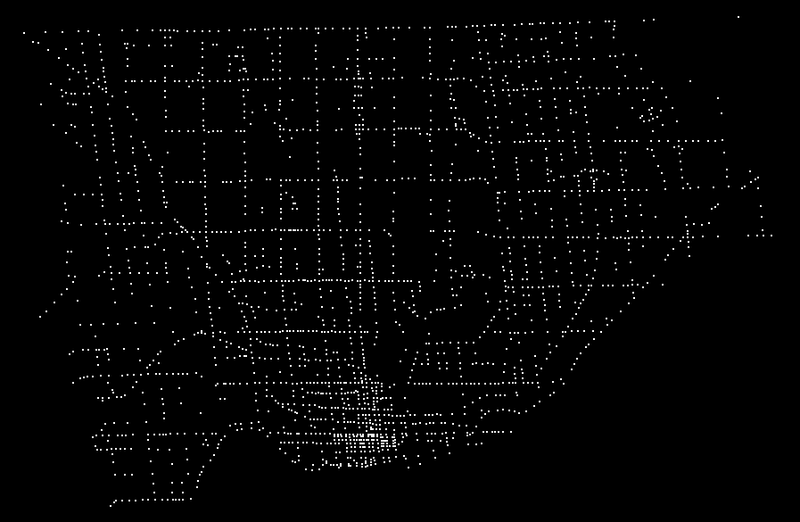 Interpolation is using the trusty kde2d function from the MASS library and a rotation is applied for the latter two figures, so that the grid of Toronto’s streets faces ‘up’ as in the original map. As always, all the code is on github.